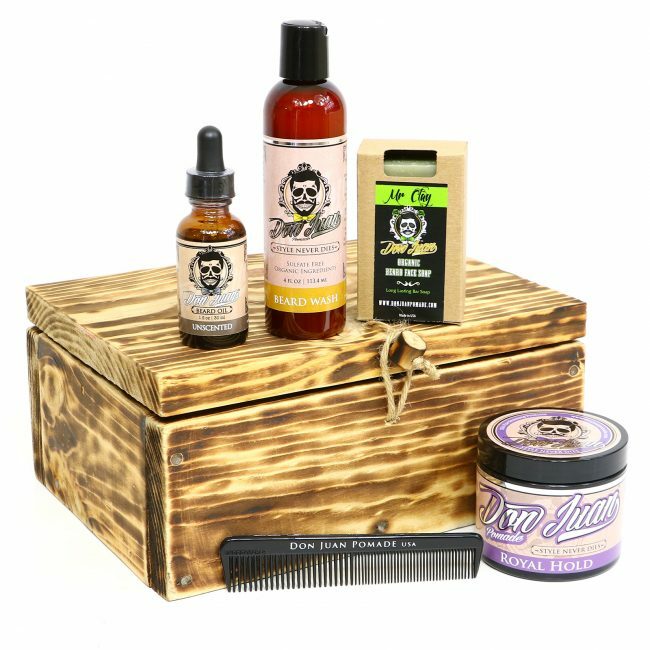 The Supreme Royal Hold Kit features our water based Royal Hold Pomade which provides a powerful all day hold with medium shine that is suitable for various hairstyles. 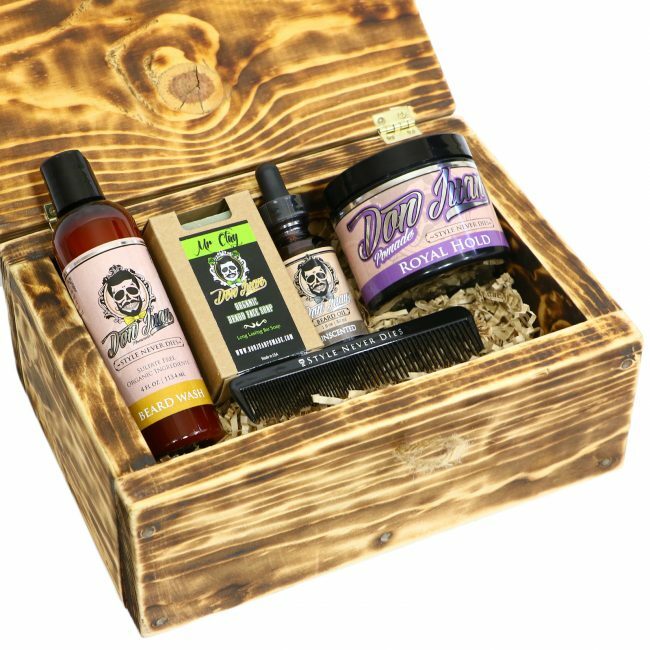 The Kit also contains Don Juans's Beard Wash Products and Unscented Oil that leaves your beard and face feeling refreshed, moisturized, and residue free. Distilled Water, Decyl Glucoside, Organic Herbal Extracts of: St. John's Wort Herb, Siberian Ginseng Root, Ginkgo Leaf, Gotukola Leaf, Rosemary Leaf, Green Tea Leaf, Peppermint Leaf, Suma Root, Kelp, Guarana Seed, Licorice Root, Lavender, Orange Peel, Vegetable Glycerin, Leucidal Radish Root Ferment, Lecithin, Abyssinian Oil, Guar Gum, Lactic Acid, Peppermint Essential Oil, Provitamin B5, Collodial Oatmeal, Aloe Barbadensis, Vitamin E Oil. 1 x Don Juan Beard Wash 4 oz. 1 x Don Juan Unscented Beard Oil 1 oz. 1 x Don Juan Mr. Clay Organic Beard Face Soap 3.75 oz. 1 x Don Juan Royal Hold Medium Shine Pomade 4 oz.